If you wish to make a representation, you should do so as soon as possible, and before the ‘Expiry Date for Comments’ indicated, in writing to: Infrastructure Services, Planning & Building Standards, Gordon House, Blackhall Road, INVERURIE, AB51 3WA (Telephone: 08456 08 12 07). Or by email to: ga.planapps@aberdeenshire.gov.uk Or on line by clicking the “Make a Comment” link below. 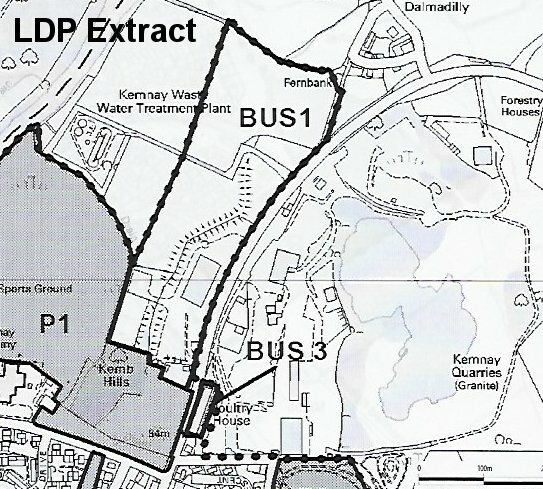 During the current Local Development Plan (LDP) 2017 consultation process, Kemnay Community Council expressed a preference that this site should be retained for recreational use, possible swimming pool. 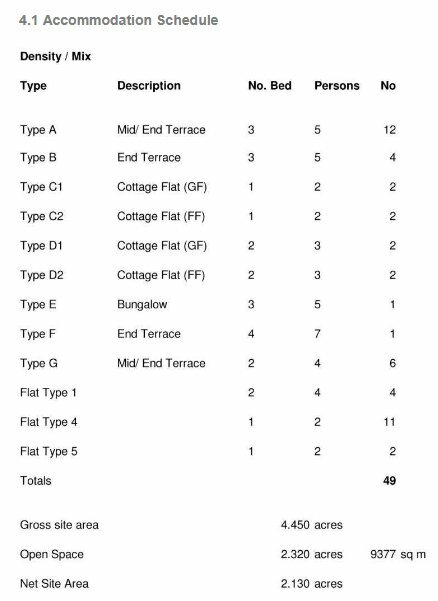 In the Main Issues Report (MIR) stage of consultation, there were development bids for various sections of this site the most appropriate probably being site Gao53 for 30 houses. 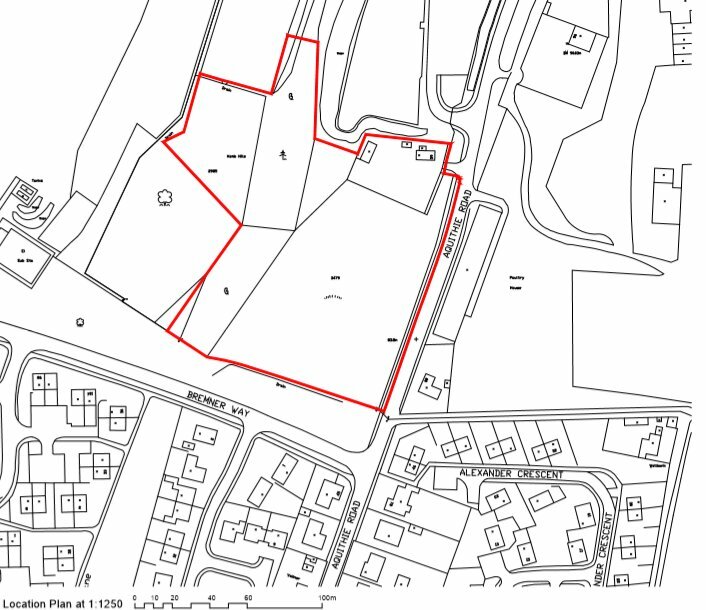 Planning Officer comment was: “This site presently has Protected status for Recreational use possibly future swimming pool. Planning Officers indicate that there have been no bids for recreational use and would therefore be inclined to support a well designed housing development on this site.” Kemnay Community Council, acknowledged a lack of recreational bids but supported the continued protection for Recreational use and the subsequent Draft LDP rejected housing development on this site in favour of continued Protected status. We will not approve developments that have a negative effect on important environmental resources associated with the water environment, important mineral deposits, prime agricultural land, peat and other carbon rich soils, open space, and important trees and woodland. 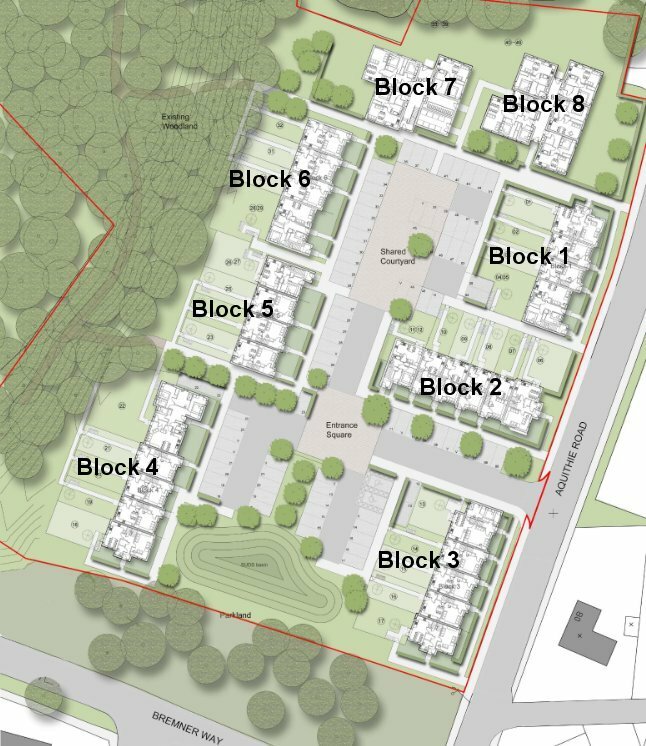 In all cases development which impacts on any of these features will only be permitted when public economic or social benefits clearly outweigh the value of the site to the local community, and there are no reasonable alternative sites. Development will not normally be permitted on areas of open space, including outdoor sports facilities, unless the new use is ancillary to the use as open space. Important areas of open space are identified as “protected land” within the settlement statements. 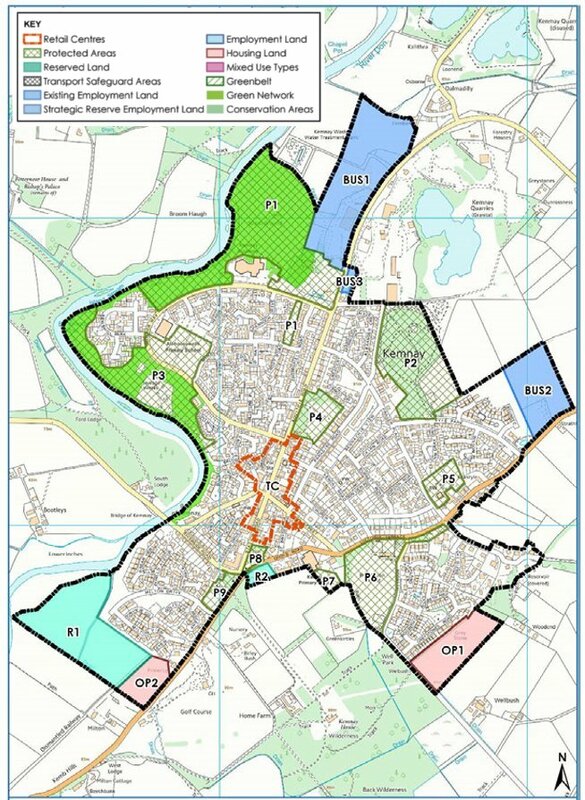 Exceptionally, the development of essential community infrastructure may be allowed if it will not result in a deficit of open space of the type affected within the settlement, as evidenced by the Open Space Audit, or prejudice the continuity of a green network. Where loss of open space occurs as the result of a new development then replacement must be made of an appropriate type, quantity, accessibility and quality within the settlement. • delivering improvements to transportation including projects identified in the settlement statements, the Local or Regional Transport Strategy, or the Strategic Transport Projects Review, routes recognised in the Core Paths plan network, closed railways and their abutments, embankments and cuttings, existing airports and airfields and operational areas of ports and harbours. • sites to support the national developments identified in National Planning Framework (see http://www. gov.scot/Publications/2014/06/3539/7). 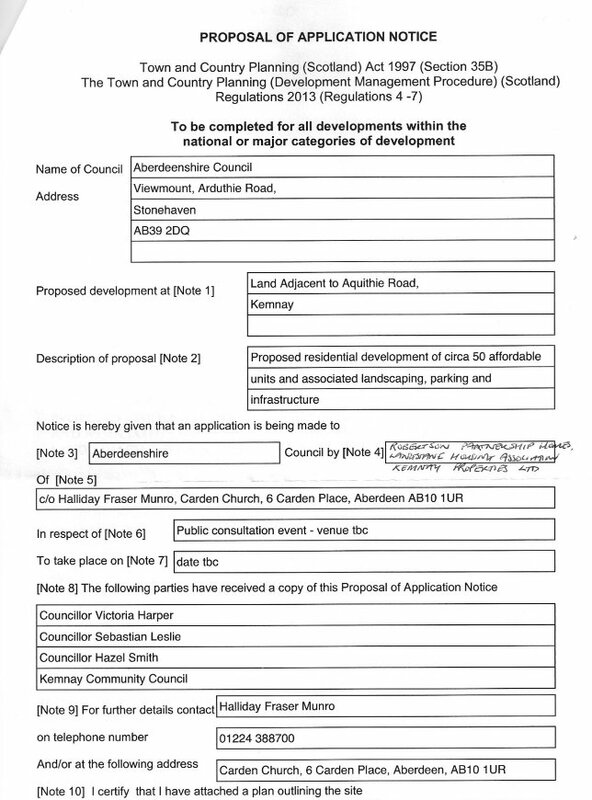 At Kemnay Community Council meeting on 30 November 2017, Halliday Fraser Munro stated that the number of proposed houses had been reduced from 50 to 49, which means that the proposed development is no longer classed as a “Major Housing Development” in the Aberdeenshire Local Development Plan. It was stated (with a straight face), that the site was not capable of supporting 50 houses. The Developer is therefore no longer obliged to hold a public consultation meeting and the intention now is to submit a planning application before Christmas 2017. 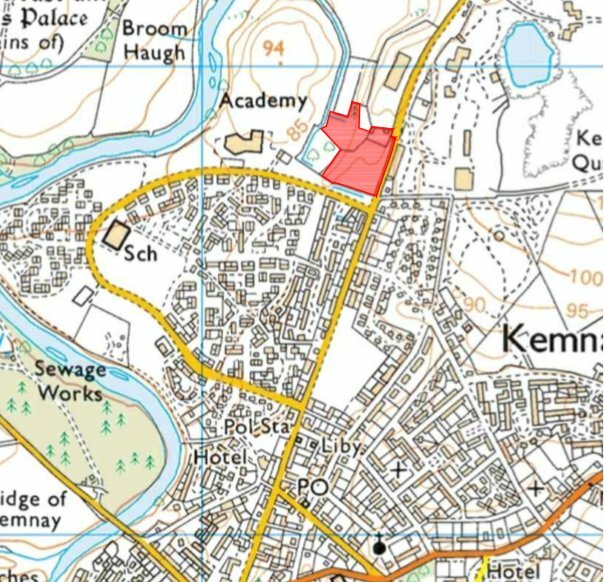 Kemnay Community Council expressed their disappointment with this decision and did not accept that the site could not support 50 houses and that one house had been removed purely to avoid a public consultation, which is most regrettable. As at 12 August 2017, all the present information available for this proposed development, is shown below. The next stage will be a Public Consultation, “possibly” held in the Village Hall, when members of the public will be invited to attend, ask questions, provide any feedback comment and complete comment forms. The date of the public consultation will be advertised in the Press & Journal, possibly also Evening Express at least one week prior to the event. 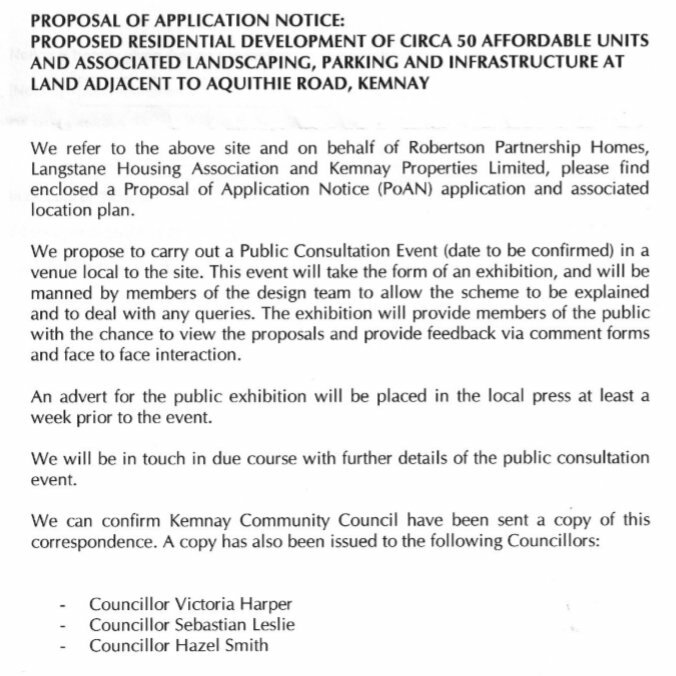 It is also agreed that the applicant will place a notification in Kemnay Newsletter. Details will also appear on this page.